Today’s Assignment focuses on one of my life-long goals… to recall the things that are perfect, rather than dwell on the stuff that is wrong. As a writer, editor, and creative person it’s easy for me to see the bad in everything I do and in the works of others. Whether it’s in my life or my work or my home, I dwell on the imperfection. My mind closes around it and it seems like that the imperfection is the only thing I can see. It’s hard to break that mindset. Do you like where you live? Your job? If you no longer in a relationship that wasn’t working for you? Are you healthy? Do you feel safe? Even when purse strings are tight, do you still find a way to pay your bills? What problems have you solved within the last week, month, or year that you’re no longer dealing with? Want some extra credit? List the people who love you, and all the ways your life is better for having them around. It’s so easy to focus on what’s not working, but give yourself (and your life, and your friends + family) due credit for what is working. 1. I love where I live. PDX is the best city for me. It’s got everything I want and love the energy. Likewise, our new house is perfect. It’s just the right size and shape to have a life with kender. 2. I have a wonderful loving husband. Kender is my touchstone. He makes me smile, laugh, and when I am not, he’s there to help me feel better. He’s my snuggle buddy and the best person in the world for me. We may not eat the same foods or see eye to eye on everything, but I can’t think of a more suited partner for me. 3. Joth, my kitty. Joth has been with me for 16 (or 17?) years. She’s seen me at my best and at my worst and she’s always there when I get home for snuggles, pets, and purring. She’s one amazing kitty. 4. My spiritual path. It’s constantly surprising and supporting me… even when I don’t think I have the faith to believe. I know something out there is watching and guiding me and I am very lucky to have that level of support. 5. The things that push me to learn and grow. Lately I’ve been learning a new eBook creation app, Jutoh, and that’s been showing me the power of doing your own eBook formatting. It’s a fun app and I look forward to the day when I can format my own books in it. 6. A great health team. I’m fortunate to have kender’s health insurance that affords me the luxury to be on shots for my allergies, the best drugs for asthma, and a great team of doctors and attendants to watch over my health. 8. Music makes me happy. I love listening to it with headphones on while I write or do other stuff. 9. 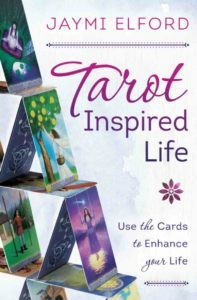 I have the ability and flexibility to pursue a non-traditional career in writing and tarot. 10. I am still alive.